To celebrate my two years of blogging, I bring you a fabulous GIVEAWAY! 4 pillow covers from their collection of your choice. HODGEPODGE in the coupon code. The icing on the cake peeps is that this is a Canadian shop, so shipping is free in Canada. Did you fellow Canadians hear that correctly???? Want to win a set of 4 pillow covers? 1. Visit Nudge Home and tell me which 4 pillow covers you would want. Leave a comment down below. 2. Follow my blog. Just click "follow" and join in the fun! This is open to everyone! They are Canadian, free shipping and their cushions are gorgeous. I love the paradigm set, it would look fabulous with my plum throw. oooh! Crossing my fingers! I like Solus and Poetic! WOW! Love! I would choose the Jilly and Practical!!! I'm a follower! I love the Playful and Poetic. This is a new source to me, thanks for introducing me. Thank you so much for this giveaway Barbara. I like the solus and poetic. Fingers crossed. I follow your awesome blog. I really love the pillow "Faithful" I would pick a couple of those for sure. Great giveaway. Those are some beautiful pillows, I'd choose the Stone's Throw bundle they would be perfect at my cottage. And I've "liked" Nudge Home on FB! I would pick the purple combo - poetic and popular - for a splash of bold colour in my living room! i am following @nudgehome on twitter! How about a couple of Sinceres & and a couple of Solus. So pretty! I have been looking for pillows! I like the practical, faithful and jilly!! Thanks! ...and I liked 'em on FB. 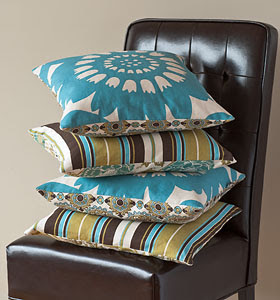 I would love to get 2 of the faithful pillows and 2 of the jilly pillows = ) I just love the colours and patterns. I SO need this! I love the Popular and the Sincere! I am now a follower, I can't believe I had officially done that before! Love the Popular Set. Great colors! AND... I liked them on facebok :) tired of me yet? Loving the Paradigm set of pillows - they would give the perfect pop of pink to our sage/taupe bedroom! And, I follow your blog! and I tweeted about this awesome giveaway! I love the Sincere and Solace patterns. I have been trying to incorporate a blue and yellow theme to our living room, so these would be perfect! I have liked Nudge Home's Facebook page! I am now following your blog, though have read it in the past! Been looking for inspiration for my guest room...love the first impressions bundle! Always in need of good pillows!! And very fun to find out about a Canadian company that I hadn't heard of before! Fingers crossed!!! GET OUT! Yay, I loved the "practical" ones and they would soooo go in my living room!!! I liked Nudge Home on Facebook and found out they are from my town!!! Really - talk about saving on shipping, eh? I'd drive down there and pick them up if I won! I already liked you on Facebook but I'd sure like you more if I won!!! Hello! Now an official follower! I love SOLUS & SINCERE! Thank you - love your blog! The Faithful and Flare are my favorite pillows that they have! I would love to have a set of each! I really like the faithful & flare pillow sets. I like NH on FB. The Faithful pillows are beautiful! I love a good ol' Canadian giveaway! I'd choose the Solus & Sincere and probably give them to my parents for Christmas. 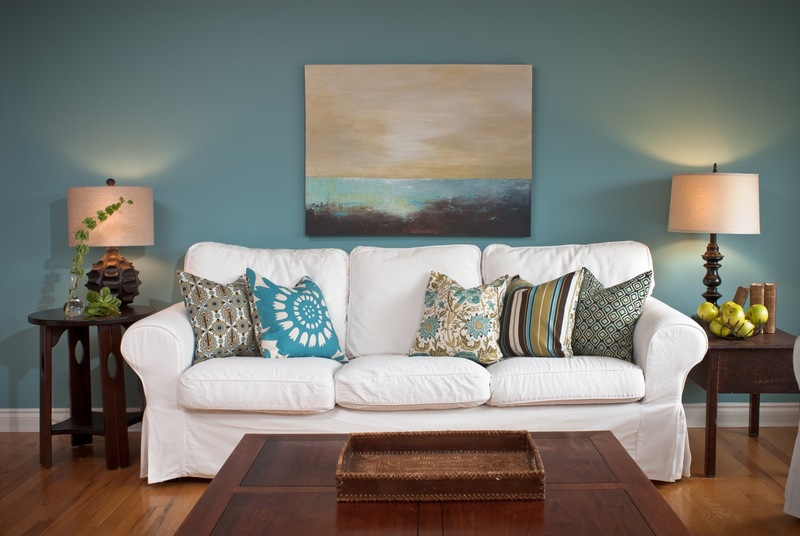 The colours are perfect for their family room. WOW!!! Canadian, beautiful, and free shipping!!! Page is bookmarked! Can it be two years already?? Happy blogiversary Barbara! 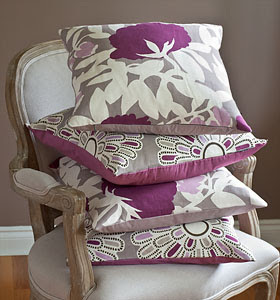 And what a fab giveaway - the Sincere and Solus pillow sets would be my pick! and I tweeted... :) love the poetic! I love the Solus pillows. Gorgeous! Liked Nudge Home on FB. Great giveaway!! I like the faithful & flare pillow set. Considering the new colour I'm about to paint my family room, a set of Sincere and a set of Solus would be perfect :-) What an awesome giveaway - thanks Barbara and the ladies at nudge! I "Like" nudge on FB now. And now following nudge on Twitter. I now follow nudge on twitter. I tweeted about the giveaway! Wish me luck! Happy blogiversary to you! What a great Canadian company, and free shipping. Score! I love the pillows in the stone's throw bundle. I love the poetic and playful pillows! They would be perfect in my bedroom. Great giveaway! Stone's throw-please. 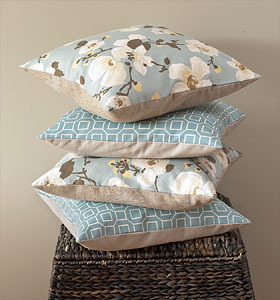 thanks also for sharing a Canadian site for gorgeous pillows. I love Faithful and Flare! Great giveaway! Happy two years of blogging!! :) I'd have to pick the Stone's Throw set of four! They would look great in our living room when we change it up!! I now also follow nudge home on twitter!! OMG, one of the best giveaways ever!! I would have a hard time choosing. I love them all but would for sure choose Practical and Solus!!! I like the sincere and solus pillows! I am following your blog via GFC! And of course, I already follow YOU!